Gem stones can be drilled for decorative purpose or to allow them to be hung on necklaces, earrings and other jewelry. With practice, you can drill larger decorative holes. It takes a bit of care and lots of practice, so practice before you cut into valuable gem stones in your collection. 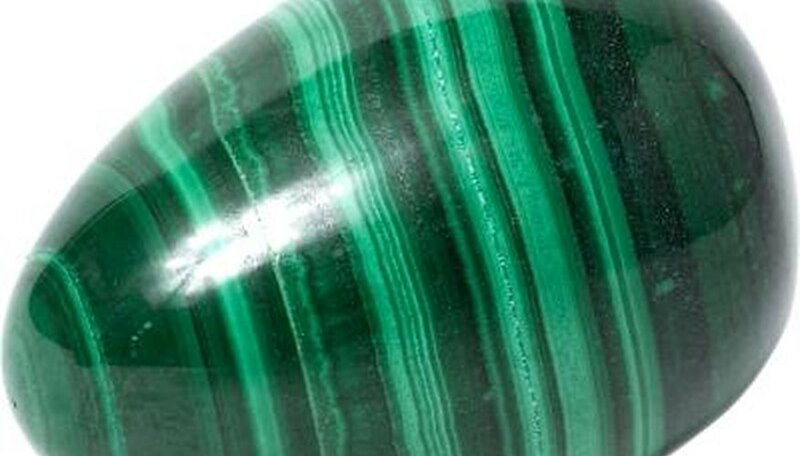 Decide how you will mount or hang your gem stone before you start drilling. Each hole lessens the value of a gem and adds visible flaws, so you do not want to drill more than once. Fill a small butter tub with water. Diamond drill bits are meant to be kept wet, and the easiest way to do this is to do your drilling in water. Some drills have a built-in water cooling feature that drips water down the bit. Hold the drill perpendicular to the stone. If your angle is off, you can cause cracking at the entry or exit point. A drill press will allow you to drill at an exact angle with ease. Use a gentle up and down motion to keep fresh water moving under the drill bit. Be careful not to bring the drill down to hard or you will knock diamonds off the bit. Start with a diamond drill bit in the size you want the hole to be (under 1 inch is recommended). Softer stones, like Amber, do not need a diamond bit, but it is a safe all around purchase for the widest range of stones and gems. You may want to consider a kit that comes in a few sizes ranging from 1 to 2 mm. Consider a GIA course on jewelry manufacturing if you find a passion for creating necklaces and earrings with gem stones you have drilled yourself (see Resources below). Always use safety glasses when working with a drill. If you just can't drill a straight hole, most raw and loose gem stone dealers will drill custom holes into stones you purchase from them at no or little additional charge. Do not skimp on purchasing a drill. While a dremmel is an affordable and popular choice, it is strictly for hobbies and should not be used to drill the more valuable gemstones, which require more precision to avoid cracks.